One of the worst experiences for any homeowner is a raw sewage backup. Unfortunately this nasty problem is all too common. The most likely culprit is a toilet overflow from flushing excessive amounts of paper. Under no circumstances should you flush other materials down your toilet. It’s a recipe for disaster and certainly not worth the trouble and expense when things get out of hand. What Should You Do When You Have a Raw Sewage Backup? 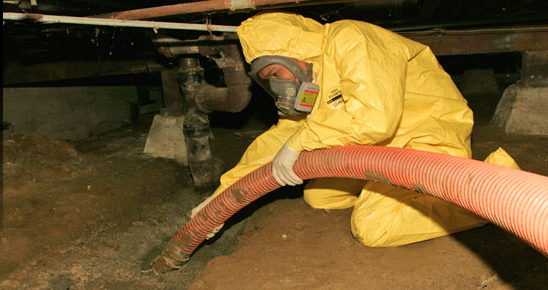 When you experience a sewage backup it’s very important to call a professional right away. A sewage backup cleanup company has the necessary safety equipment and drying technology to remove black or gray water from the premises without making contamination any worse. Until help arrives, move unaffected items away from the area, but only if you can do so safely without coming into contact with the sewage. Black water contains extremely dangerous bacteria and disease carrying pathogens. Don’t play fast and loose with your health. Keep children, pets and the elderly away from the flooding. Children and old folks tend to have weaker immune systems than the rest of us that lie somewhere in the middle. I personally experienced a bad sewage backup a few years back. My home is located on a floodplain, and due to many heavy rainstorms the local river peaked, leading to a flood that carried sewage into buildings. Many private residences and commercial properties were damaged by the wastewater that contained urine and feces from the sewer system. Fortunately, there were expert plumbing companies willing to send teams to help. Throughout the cleanup process, I stayed with relatives who live in a nearby county. However, many of my neighbors had to stay in motels to avoid becoming sick from the contamination of waste in their homes. While the best time to remove water and sewage from a building is immediately, this was a time when workers often had to wait several days before entering. This was definitely a category three flooding incident because the water was unsanitary. When the technicians were finally able to get to my house, I was lucky because it was a class two water damage evaluation. How Did the Professionals Restore My Home? My house was located far enough away from the overflowing river that the water receded quickly. The technicians were able to use sump pumps and extraction machines to remove moisture from the lower levels in about 24 hours. They installed huge fans near doorways and windows to dry floors, cabinets and walls. Of course, there was no electrical power because that was too dangerous, so the technicians used generators instead. While working on my home, the technicians wore special suits, gloves and goggles along with breathing apparatus. Because filthy sewage had seeped up the walls from the baseboards in my home, the water damage restoration team had to verify there was no contamination in the insulation. It was also vital to make sure that electrical wiring, appliances and televisions did not have any moisture that could cause a shock injury or death. The technicians were able to repair the major structures in my home, but many things had to be thrown away due to contamination. My town required an inspector to walk through my home to check for safety before the power companies could turn on utilities, including electricity and natural gas. A raw sewage flood is one of the most dangerous home disasters. Steer clear of the bacteria and get professional help!